This lively & refreshing herbal tea contains high quantity of vitamins, minerals & antioxidants. 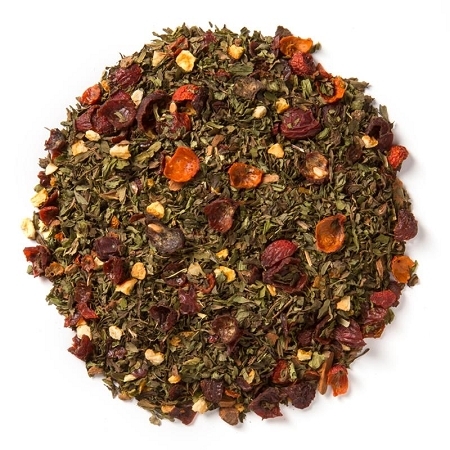 You'll look forward to drinking this soft & luscious blend of spearmint, rosehips, cinnamon, & orange peel every time! Organic & caffeine free. Ingredients: spearmint, rosehips, cinnamon, orange peel & natural flavor.